IC Optical Systems manufactures fixed air gap etalons. 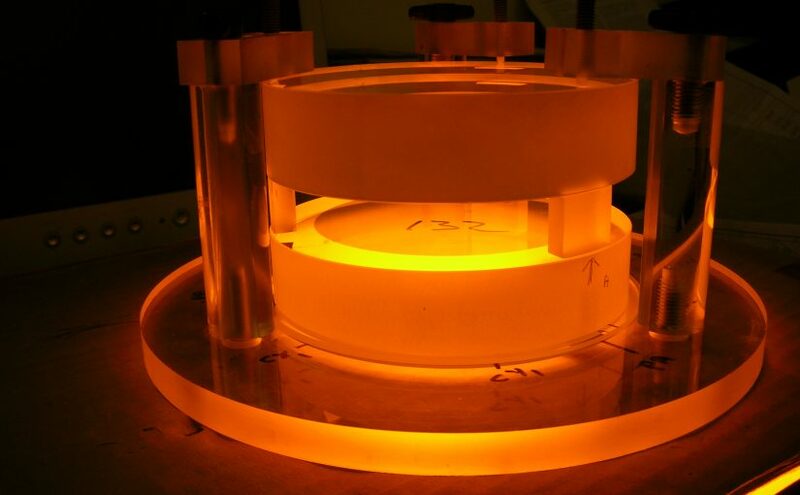 These etalons comprise Fabry-Perot etalon substrates held at a fixed separation by spacers made of optical glass and optically contacted into a monolithic structure that can be built into an instrument or mounted in a variety of configurations and cells. For minimum drift in cavity spacing the spacers can be made of low or zero expansion glass such as Fused Silica, Zerodur or ULE. Other glasses can be used singly or in combination to give the desired spacing stability or tuning. ZERODUR® is a lithium-aluminosilicate glass-ceramic produced by Schott AG. ULE® 7972 is a titania-silicate glass with near zero expansion characteristics made by Corning.